The fail-safe spring mechanism extracts or retracts the actuator output rod to a safe position at an extremely high speed in the event of trip command or power cutoff. The shock absorbers are mounted in the fail-safe mechanism flange to minimize the influence of shock load on the cone seating surface of the valve. Diakont electric servo actuators deliver additional reliability with redundant motors containing two independent stators and encoders with connections to independent junction boxes mounted on the actuators. Turbine control systems based on electric servo actuators do not require any oil, hoses or pumps associated with hydraulic systems. This greatly reduces maintenance and operation costs. Additionally, this reduces fire hazards (especially for valves mounted on top of turbines), consequently reducing insurance prices. Diakont electric servo actuators provide exceptional service life while requiring minimal maintenance. 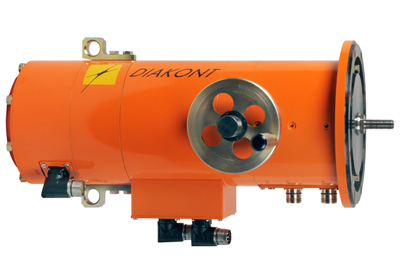 Diakont actuators use advanced roller screw technology which ensures an operation lifetime of 20 years or more. Also, Diakont suggests only re-lubrication maintenance on these actuators once every four years. Diakont electric servo actuators incorporate progressive technology, including precisely machined roller screws and high-force permanent magnet synchronous motors (PMSM). These components are integrated into a single unit, providing exceptional performance in a compact footprint. 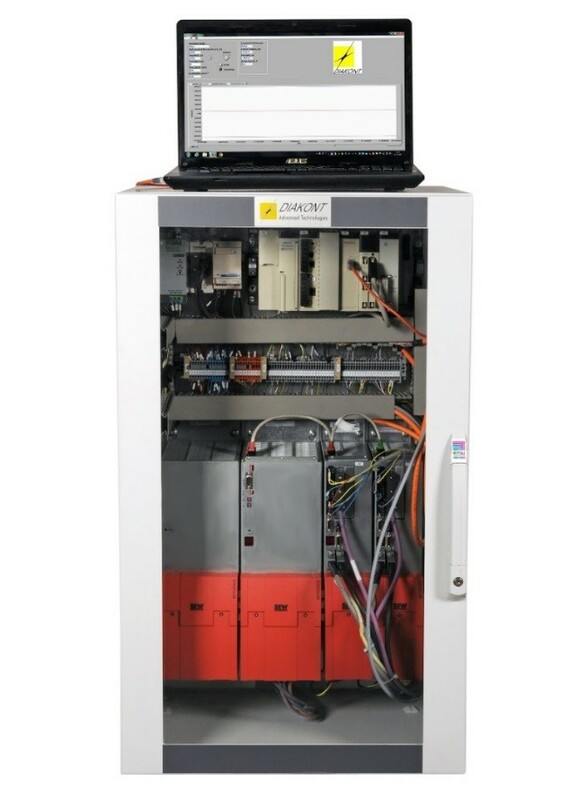 Diakont’s control unit provides the ability to control actuators with an analog or CAN interface and facilitates easy actuator integration, potential fault detection, and troubleshooting service. The specifications listed for the electromechanical actuators are based on typical configurations. However, custom modifications can be made easily to accommodate specific customer requirements. Contact a Diakont representative for more information. Contact a local technical support and troubleshooting representative from Diakont facilities in the USA (San Diego), Italy (Arezzo), and Russia (St Petersburg). Diakont’s field teams support installation, tuning and maintenance. Diakont also has various test benches for endurance and functional testing.